Heavy gauge 2" wide aluminum blade with deeply cut highly visible graduations. 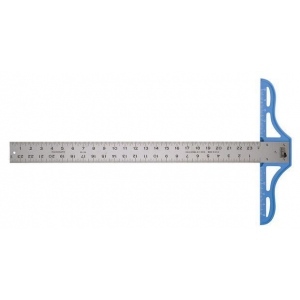 * Blade securely riveted to durable high-impact 14" wide plastic head. * Blade graduation in 8ths and 16ths; head graduation in 8ths.